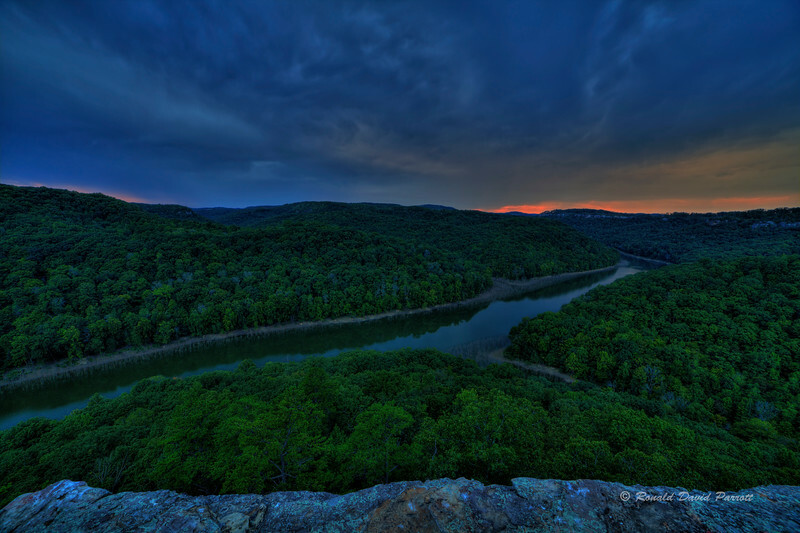 This is a birds eye view of the Big South Fork Cumberland River and the Daniel Boone National Forest. This view is from Buzzard Rock in McCreary County on a dark and stormy evening. The previous photograph was from earlier the same evening.